When I was a fourth-grader, I’d tell my teacher the noise level was too loud, and he’d turn to the class and say, “Quiet! It’s too loud for Nancy to concentrate!” His loud, taunting voice cued my shame. Fast forward to 2016: Many educators now work to create classrooms to help every child reach her learning potential, even if that child needs less clamor or more movement. Schools and districts are building programs around therapeutics and class materials that help children with anxiety, attention deficit hyperactivity disorder (ADHD), autism, sensory issues and other learning challenges feel comfortable and focus. Some schools have official resource rooms filled with these new materials, while other teachers and parents who don’t have access to such programs are improvising with their own kits and supplies. Sensory processing is how our nervous systems receive messages from our senses. Sensory processing disorder (SPD) causes sensory signals to either go undetected or not get organized into appropriate responses. So kids with SPD or other sensory issues can have trouble processing visual and audial information, especially in a busy classroom. Meanwhile, students with anxiety often become overwhelmed faster than other students. 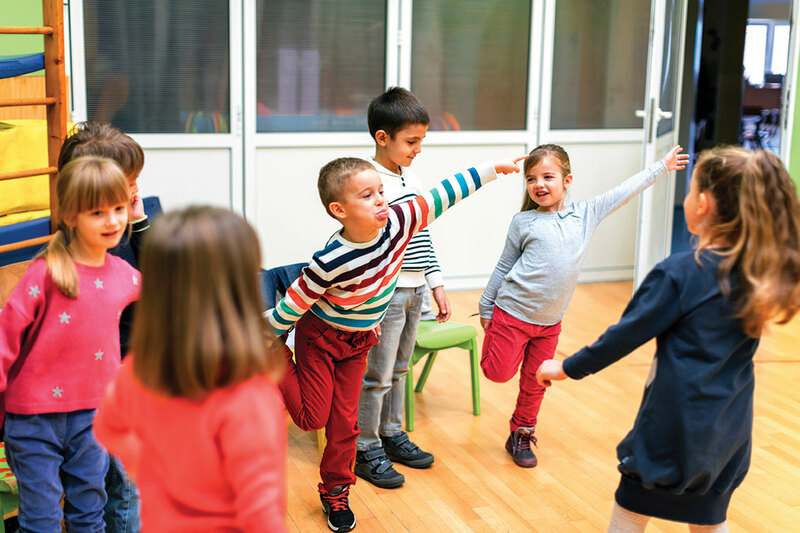 Children with ADHD or autism are often kinesthetic learners, meaning they learn better if they can move their bodies. This can be difficult in a traditional classroom setting where sitting perfectly still at a desk is emphasized. To normalize different learning styles, Seattle-area teacher Abby Mansfield starts off the school year with a lesson on the brain. “We look at the brain together and we talk about different learning styles. We connect that to how we are all different and in our room we will respect everyone,” she says. Mansfield also classifies each segment of the day into activity types: This is a loud activity; these 15 minutes will involve movement; reading time with be quiet today. Of course, good classroom management is the scaffolding of this approach. On top of that are the tools students can use to either calm themselves down or help focus their energy. Some of the materials are objects that look alluring to — and could help — every student. Occupational therapists (OT) and special education teachers point out that we all have sensory needs, and these classroom tools are for all learners. “One teacher [who] worked with my oldest son offered sensory tools like over-the-ear muffs and other learning options like reading a book on a beanbag to all students. Some were always available, and others had to be earned,” says Angela Fish, executive director at Exceptional Families Network, a Lakewood nonprofit organization that provides education, support and advocacy services for families of children with special needs. Her son has autism, SPD and ADHD. “The students who used the readily available sensory tools the most were those without learning differences. Since the stigma of being different was removed, the kids who needed those tools the most didn’t actually have to use them as much as they might typically need to,” Fish says. If you think your child may benefit from using learning tools, local educational specialist Zoe Leverson recommends using your home for a trial run first. See what your child does while bored at family dinner: Does she chew on her sleeve, or bolt and climb the walls? Give your son a Koosh ball while he reads a book and see if it helps. Then talk to your child’s teacher. Ask if your child is having trouble paying attention in class. “If the teacher agrees, say, ‘We’re noticing this tool really helps at home. What do you think will work for our child?’ The more you can work as a team with the teacher, the better,” Leverson says. A school’s OT is also a resource for every student in every classroom, even if a student doesn’t have an individualized education plan. Some parents ask their child’s private OT (whom they see outside of school) to come and observe the classroom. Really simple tools can be easy but powerful ways to help a child succeed in a classroom. When putty play under a desk or extra movement breaks correlate to an improved classroom experience, a student builds not only academic success but also self-esteem. That is a vast improvement upon the embarrassment I once felt every time my teacher teased me for requesting a quieter classroom.